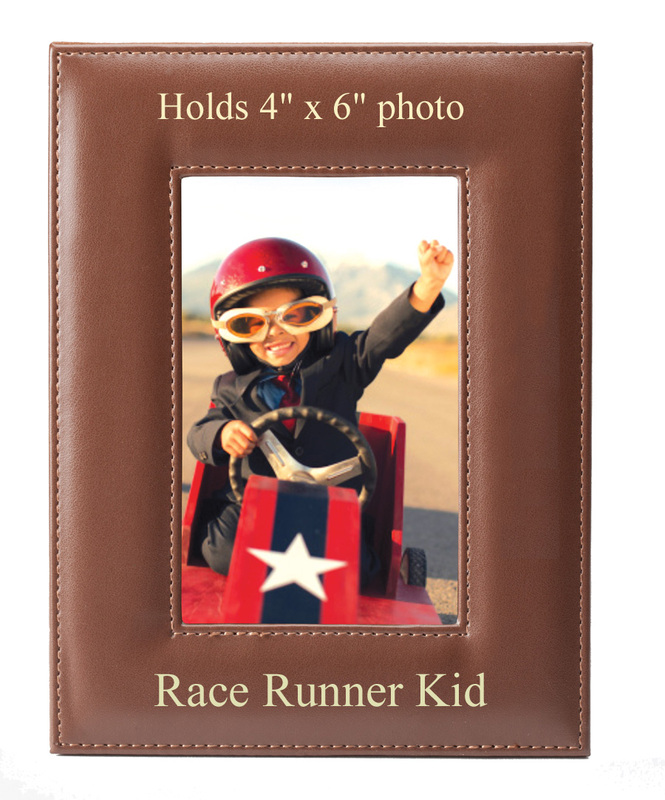 Item Description: 8-1/2" x 6-1/2" rich vertical tan leatherette velour back with easel picture frame. Holds 4" x 6" photo. Engraving Option: Top, bottom and sides can be laser engraved with text or logo comes through in gold lettering. You can upload your logo via Upload Artwork File or Engraving link below. Only black and white line detailed camera ready artwork created in CorelDRAW or Adobe Illustrator/Photoshop are accepted for logo engraving.